I love to be creative with all of my projects and it’s even better when I learn new techniques along the way. I find that challenging myself and adding something unique adds more interest to my projects. So, with this month’s Brother charity apron I thought I would share some techniques that you can utilize for many different projects. Not only do I love sewing gadgets, I also love accessories, especially feet and attachments. So this tutorial will show how to combine two embroidery designs and how to add ruffles, gathers and finish the edges of your garments to add a bit of creative flair! I love to cook and always wear an apron, so having this challenge was an excuse to make one for charity and one for myself. Plus, when you’re in the kitchen it sometimes feels like a chore, so why not feel pretty while you’re doing it! There are some really great free patterns on craftsy.com. It won’t matter what pattern you choose because you can apply these techniques to any pattern you come across, not just aprons. I paid for the Options Apron Project by Modern Vintage Designs, which is totally me – vintage and classic. This designer has some really beautiful apron projects if you’re interested in purchasing one of your own. I followed the excellent pattern instructions which even included a shortcut sheet, which helped a lot. Aprons are great excuse to dig into your fabric stash. 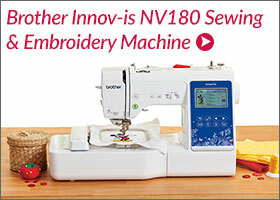 Plus, adding embroidery means that your apron will be fun, colourful and unique! This project involves creating the Echidna Sewalong Dog Jacket and then applying the Lindee Goodall and Animal Welfare League embroidery designs onto it. As the material used was fur and heavily patterned, I have created an instructional tutorial to show you how to create a background for your embroidery design to make things a little easier. The project itself was very easy and recommended for beginner sewers. The embroidery designs by Lindee Goodall were also easy to follow with clear, step-by-step instructions. I have used fur for the fabric and a stretch lining, which can be a very problematic combination. Therefore, I wanted to share with you some tips and tricks that I discovered along the way to deal with this type of fabric and pattern choice. To start with, I marked out the pattern on the fur fabric on the right side with a sharpie pen. I wouldn’t normally do this on a garment but for this occasion it was much easier to see and since it was a pet project, I figured I could get away with it. Description: Create this cute little Abby’s Sweet V-Neck Crafsty Dress and apply your own embroidery design, or use the one included in this project. Embroidery Design: This design is from the John Deer Ultimate Ladybug collection called Stylized Flowers in a Corner, which was edited using Embrilliance Enthusiast or higher. Watch the How To Video! Leanne explains how to edit the John Deer embroidery design to suit this free Craftsy dress. Using the embroidery template she then shows you how to place it onto the dress and finish the project off with some embellishments. Inspired by the latest Echidna Sewalong for the Royal Flying Doctor Service, we have designed an aviation themed quilt block which can be used for a number of projects including pillows, mug rugs, quilts, table place mats, runners and much more! The quilt block design has been created from Lindee Goodall’s Cabin Fever Quilt Block project, which you can purchase for $39.95 (Platinum $35.95). This project requires piecing in-the-hoop (also known as pattern piecing) to create a finished block size of 5.5 inches (140mm x 140mm). The project contains 20 embroidery designs and an instructional pdf which includes full-size templates, patterns, colour sequences and step-by-step illustrations. This collection contains designs with the following minimum sewing field requirements: 1 for 130 x 180mm, 9 for 140 x 200mm, 15 up to 200 x 300 max. If you’re looking for a fun way to refashion an old tee, or give a new tee some creative flair, the ScanNCut Vinyl transfers are a great way to go! If you find a simple tee pattern, like a tank top or a singlet, you can easily transform your old baggy shirts or use up your scrap fabric. You really don’t need a lot of material to create these shirts, which are the perfect addition to any wardrobe. Now you can have both! 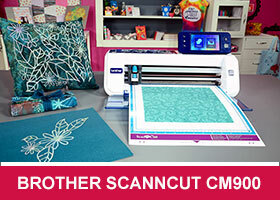 At last a free arm embroidery machine that doubles as a free motion quilter, wow! With the pedigree of the class leading Brother PR series, the Persona PRS100 sets a new benchmark for versatility, quality and performance for a single needle machine. 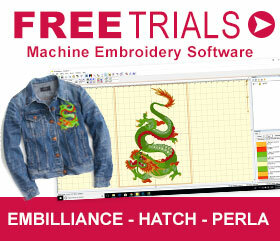 Embroider the most difficult items with ease, like babies wear, bags, sleeves and even pockets using the unique features of free arm embroidery. Then in the flash of an eye, convert the Persona to a fully functional free motion quilting machine with the optional free motion quilting kit. There’s less frustration as the unique rotating tension system on the PRS100 guarantees the very best stitch quality available, with less thread breaks and even better performance on metallic threads.